Originally prepared for publication as part of Bright Sparcs by the Australian Science Archives Project. Raymond James Wood Le Fèvre was born in North London on the first day of April, 1905. He was the eldest of three children of Raymond James Le Fèvre, the managing clerk of a firm of London solicitors, and his wife Ethel May (née Wood). Of his four grandparents, three had died before 1910. Only his father's mother, née Louise Darby, of Bath survived into his childhood. She was a strict, severe and religious person, always dressed in black as was then customary for widows. She, with her watch-maker husband, had, many years before, established a home in Richmond, Surrey, and there produced six children of whom Le Fèvre's father was the youngest boy. Her family practically formed the local church choir of St Elizabeth's Roman Catholic Church at Richmond. At eight years of age, Le Fèvre became an altar boy and he remained in close association with this church, eventually becoming the Master of Ceremonies in his 20s. Further, through his close friendship with many of the clergy, he found great interest in church and choral music, history, ritual and church vestments. This aspect of his education and life over the years ran in parallel with his secular life. Le Fèvre's parents moved to St Margaret's, East Twickenham, in Middlesex, a district just across the Thames from Richmond. His schooling began in the infants' class of Gumley House Convent, Isleworth, and after about a year he was transferred to St James School, Twickenham, an elementary school staffed by Sisters of Mercy and lay teachers. About April 1915, he was transferred to the Salesian school at Farnborough, Hants, a boarding school which Le Fèvre has recorded as being 'austere though probably healthy'. Cricket and football were played but he showed no great aptitude for either. He was, however, a good swimrner; his family kept a punt on the Thames. He enjoyed visits to Farnborough Abbey and roaming relatively freely on Farnborough Common. The Abbey had been founded by the Empress Eugenie to house the tombs of the Emperor Napoleon III and his son the Prince Imperial, who had been killed by an assagai while fighting in Zululand in 1879, in the Crypt Chapel, which to the young Le Fèvre had a fascination as a sombre and mysterious place - an impression intensified by distant chanting from the church above. In 1915 Farnborough Common was still open to the public. For small boys part of its attraction was a large pond in which on warm days they could swim, but a larger part arose from the use of the Common as an aerodrome for the adjoining Government Aircraft Factory that was then growing up around the old balloon and airship establishment. Here could be seen pusher-engined Farman biplanes, B.E.2c's, and other fragile-looking contraptions staggering shakily into or out of the air. Le Fèvre could not have known at the time that the G.A.F. had just gathered together a group of able men, mostly from Cambridge, destined to become leaders in various branches of pure and applied science-men such as F.A. Lindemann (later Lord Cherwell), B.M. Jones (later Sir Melville Jones), G.I. Taylor (later Sir Geoffrey Taylor), G.P. Thomson (later Sir George Thomson and a Nobel Laureate in physics), W.S. Farren (later Sir William Farren, Director of the Royal Aircraft Establishment during the Second World War), G.T.R. Hill (designer of the 'Pterodactyl' aeroplane), F.W. 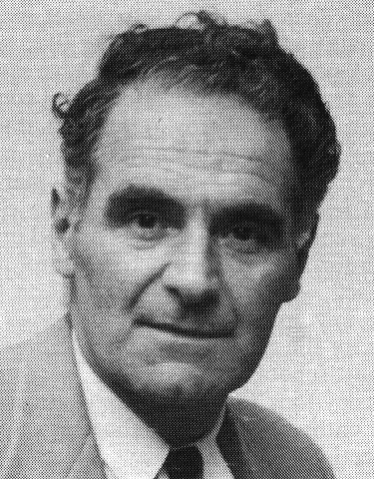 Aston (subsequently a Nobel Prize winner in chemistry), and Hermann Glauert (whose contributions to aerodynamical design, to aerofoil theory, to the analysis of auto-gyro flight, and so on, were to earn him election to the Royal Society of London in 1931; at the height of his powers he was unfortunately killed by a falling tree on the Common in mid-1934). In the course of his career, Le Fèvre was destined to have an official place in the Establishment which grew out of 'the muddle of huge shanties' that were there in his school days. Because of the war, a no. of masters were in the services, their places being temporarily filled by women. One of the latter, Miss E.B. Murdoch, conveyed to Le Fèvre his first impressions of chemistry. She believed in practical experience as a method of learning; her introductory experiment was the examination of a mixture of iron filings and flowers of sulphur before and after heating. The vivid light emission accompanying combination and the altered behaviour towards a magnet underlined indelibly the differences between physical and chemical changes. From that moment, chemistry displaced history as Le Fèvre's favourite subject. Conversion was completed during the next annual session when physics and chemistry were taught by B.H. Walmsley, 'the finest teacher in all my pre-University experience'. Notable among his school activities were a strong interest in historical novels (graduating from Henty to Scott), photography (winning a competition in Isleworth for two enlargements, done with a home-made lantern, of architectural subjects at Verulamium and St Albans Cathedral), rifle shooting (twice winning the school championship), and listening to music both liturgical and orchestral. With the passing of the matriculation examination, the question of a future career became important. His father would have liked him to study law but this prospect did not appeal as much as a livelihood involving science and preferably chemistry. It was B.H. Walmsley who convinced his parents that this was not a disastrous course and that it was essential that he should arm himself with a degree and, if possible, get some experience of research before being launched on to the labour market. He therefore went into the post-matriculation science stream with the object of taking the London Intermediate B.Sc. examination during the two years of the sixth form. Four subjects were required by the regulations. He chose pure and applied mathematics, physics and chemistry. The Headmaster, W.T. Kenwood, a believer in general education, discipline, and the idea that improvement of boys came best from hard work, personally took the combined science and arts groups for four periods a week, using a procedure that could be termed 'seminar leading', in which one student would read some passage or other and the rest would discuss it. The students learned a lot in this way, for example, selected passages from the Old Testament easily led to 'facts of life'; Ruskin's Stones of Venice started talk about architecture, travel, painting, mosaics and the like; an elementary book on ecomonics likewise gave some insight into the production, distribution and consumption of wealth, and probably reinforced the determination of many to make a university, rather than commerce, their goal. Although a martinet who inspired fear in many boys and who closely and severely supervised the staff, Kenwood insisted that the sixth-form timetables included some half-dozen hours each week for private study, on their own without any masters being present - excellent training for the self-learning later to be undertaken in the post-school years. Walmsley took the class for physics and chemistry. His enthusiasm in the laboratory was genuine and infectious. He was always fair and just, never sarcastic or sharp-tongued. They worked extensively from J.W. Mellor's Modern Inorganic Chemistry, E. Edser's General Physics and Light, H.E. Hadley's Magnetism and Electricity and others of similar standard. His introduction to organic chemistry followed the plan upon which E.L. Lewis's Elements of Organic Chemistry was based; this was essentially practical. In the very first lesson they learnt about fermentation, brewing, enzymes, wines, and so forth, and made up an aqueous solution of glucose to which yeast was added. A few days later the mixture was distilled and the easy accessibility of alcohol made obvious. Its value as a raw material was then illustrated by preparing, from fresh alcohol, such compounds as ether, ethylene, acetaldehyde, ethyl acetate and acetamide. In this way they were introduced to the idea that organic chemistry dealt with families of inter-related and interconvertible molecules; moreover, they were acquiring enough personal experience to be able to appreciate the simplifying and systematising advantages of Kekule's structure theory which, sixty years earlier, had brought logic and harmony into what might easily have become a vast catalogue of unco-ordinated empirical facts. Opportunities were given also to try their hands at many of the reactions and procedures described by J.B. Cohen in the 1918 reprint of his Practical Organic Chemistry an outstandingly popular book. In 1922 Le Fèvre sat for the London Intermediate B.Sc. and Higher School Certificates. The examinations were passed at a level sufficient to qualify him for a Middlesex Senior County Scholarship worth about £25 per annum, a sum that just covered the fees at East London College (now Queen Mary College). Application was made to this institution and admission granted after various interviews. In September 1922, therefore, he found himself an undergraduate looking towards a B.Sc. degree of the University of London. Chemists who benefited from such guidance included Sir J.C. Drummond (later professor of biochemistry, University College London), G.M. Bennett (later a professor at Sheffield, then at King's College London, and finally the Government Chemist), and E.E. Turner (of whom more later). Others in Hewitt's circle, either as staff colleagues or research collaborators, were F.G. Pope, A.D. Mitchell and J.J. Fox (later knighted, and in 1936 appointed to be Government Chemist). Fox had contacts with early pioneers of physical methods for the investigation of chemical problems and among his publications were some dealing with topics in the formative days of infrared spectroscopy. In time, Le Fèvre was ushered into the presence of Professor J.R. Partington by S.K Tweedy, J.R.P. 's hard-working personal assistant. He was a little disappointed to find, not a bearded and reverend-looking professor - his ideas having been formed by pictures of Mendeleef - but instead a pink-faced, somewhat testy individual who expressed dissatisfaction at the extent of his mathematical experiences. He was given an extended booklist with many of the standard chemical texts of the time and including several items by Partington himself - it involved a not inconsiderable financial outlay. As a candidate for chemistry honours, with physics a subsidiary subject, I attended lectures by a range of staff: Partington on inorganic and historical chemistry (although J.R.P. 's vocal style was not exciting, it was redeemed by the fact that he, plus Farrow his lecture assistant, performed in front of the class most of the experiments and demonstrations described in Partington's 'Text Book of Inorganic Chemistry'); E.E. Turner on organic chemistry (Turner was always clear and precise, he wrote rapidly and neatly on the blackboard, and often carried out small-scale preparations, crystallisations, or distillations, to illustrate whatever was under discussion, E.E.T. showed more than anyone else I encountered during my student years, what could be done with the simplest apparatus used with understanding and experience). W.H. Paterson and D.C. Jones took us for physical chemistry, which in those days was almost non-instrumented, reasonably practical, and not highly mathematical. To me the most troublesome course was thermodynamics, the material of which seemed 'dry' in the extreme, especially when droned out by J.R.P. more-or-less verbatim from his book. For eloquence, I think that Dr Alan Ferguson, of the Department of Physics, talking on the properties of matter, surpassed all others we heard as undergraduates; to Ferguson I owe my especial interest in 'additive properties' - an interest which has persisted for 60 or more years. For enthusiasm, I rank E.E.T. above all others. He occupied a small room at one end of the large laboratory where we 2nd and 3rd year students were located. I was on the second bench from the door of his room from which he would often emerge and chat with whomsoever he encountered. E.E.T. had not long before returned from two years as a lecturer in the University of Sydney, where he had collaborated with G.J. Burrows in examining the optical resolvability of certain inorganic complexes having Fe, Al, As or Sb as central atoms. At E.L.C. he was continuing this programme, making alkaloidal ferrioxalates, aluminoxalates, and antimonoxalates, etc. I well remember being invited to admire a beautifully crystallised strychnine aluminoxalate spread out to dry. Through his ever-open door we could see that he worked constantly. Later on, I had many opportunities to admire Turner's general skills in the laboratory, at glass-blowing (he said he had been taught by his brother, a student under Ramsay at University College) and in all phases of pre-parative technique, an aspect of chemistry for which Turner had genuine enthusiasm. Le Fèvre's interests extended well beyond his science studies. He availed himself fully of the range of cultural activities so readily accessible in London - theatres, museums, cathedrals and churches with outstanding choirs, cinemas, historic buildings. In June 1925, he passed his final examinations with First Class Honours in Chemistry and at once began research with E.E. Turner. On the B.Sc. results he was awarded a D.S.I.R. Scholarship of £140 a year. His initial effort in research was inauspicious, involving as it did a too vigorous reaction and subsequent fire, but despite Le Fèvre's apprehensions, most people laughed off the incident. He began a study of the orientations of substituents entering diphenyl compounds. This led him to investigate the general usefulness of piperidine when used as an agent in locating halogen atoms situated ortho or para to nitro groups in aromatics. The results consistently supported the view that piperidine was of great value as an agent. This work was summarised in his thesis for the M.Sc. degree, awarded in 1927 it also formed part of one of the first papers published with Turner. The scission of diphenyl ethers by piperidine was also examined. The major preoccupation of Le Fèvre and Turner at this time was with questions concerning the stereochemistry of diphenyl and its derivatives. Chemists were beginning to query the space formula proposed by Kaufler. Reinvestigations showed much of his evidence to be dependent on errors and mistakes. From the confusion, a simpler picture gradually developed. Le Fèvre and Turner were led to conclude that an unsubstituted diphenyl molecule will tend to be planar unless it is prevented by steric or other forces, in which case the structure as a whole would adopt the shape of a two-bladed propeller and become capable of optical resolution into dextro and laevo forms. This recognition of confirmational isomerism in the aromatic series opened the way for developmental work in several laboratories in England and elsewhere. In 1928, Le Fèvre became a lecturer in organic chemistry at University College London. His departmental duties were not numerous. Mainly these were to demonstrate in the organic laboratory under the direction of O.L. Brady and to help on Saturday mornings with the elementary chemistry classes for engineers that were being run by R.W. Lunt. His immediate research programme was concerned with finishing his Ph.D. work; the thesis (QMC thesis 82) submitted that year incorporated material from a no. of published papers. The nitration of 4,4'-difluorodiphenyl was to be his last contact with this type of work on the diphenyl series, although Turner and his colleagues continued with these compounds very productively for thirty or more years. At University College, changes were occurring. Professor J.N. Collie retired in 1928 and was replaced by Robert Robinson (later Sir Robert) who was then entering one of his most active periods of research. Robinson had already established a brilliant reputation for his contributions to many separate regions of organic chemistry, notably to electronic theories of reactivity and structure and to knowledge of plant pigments, drugs, alkaloids and so on. Robinson rapidly built up a large following of research students, some coming with him to London from Manchester, others travelling from countries overseas. Thus in a short time the U.C.L. Department of Organic Chemistry became very cosmopolitan and stimulating to its members in ways not always experienced in other university departments. The traditions of friendliness were fostered by daily meetings for tea, coffee and much informal conversation, and the fact that staff and postgraduate students behaved as near equals. Years before, a 'Seven Seas Club' had been established for research students who had travelled to London via one of the seven seas or who had been at U.C.L. for more than three years; all this helped to create a happy and united social atmosphere. Robinson was not a remote or distant departmental head but one always accessible to colleagues and students, as he usually worked in his private laboratory with its doors constantly open. His wife, Dr Gertrude Maude Robinson, joined him very frequently, thus adding her personal interests in plant pigments and her quiet and dignified charm to the other attractive qualities of the Department. I was a Chemistry student at University College between the years 1931-34 and attended his lectures on Organic Chemistry. The theatre was always filled to overflowing, for his lectures were marvellously planned and were not only full of examination 'meat' from the student's point of view but full of interest too. Nearly all the statements he made were illustrated by experiments, which were carried out with breakneck speed, yet he would write the equations on the black-board very slowly so that we could get them all down in our note books. He was always immaculately groomed and attired (like most lecturers then) in morning dress. I suspect he was a little vain, but with good reason for he had a commanding presence and was very handsome. His entrance into the Lecture Theatre was always accompanied by stamping of feet (a sign of approval). His interests to use his own phrase 'ranged from the sacramental to the excremental'! On one occasion he was well ahead of his syllabus and therefore treated us to a fascinating and learned discourse on the famous burial shroud of Christ at Turin, with a chemical interpretation of the mysterious markings on the shroud. Le Fèvre became actively involved with questions concerning the orientations of groups entering aromatic structures - a hotly argued topic at the time. The orienting ability of oxonium oxygen was examined experimentally as oxygen was the last element requiring investigation in this connection in the 'onium' state. In discussion, Robinson had suggested that the phenylpyrylium salts might be looked at 'since it should be easy to get a positive oxonium pole conveniently situated to orient substitutions in that series'. From substitution experiments mainly upon derivatives of 2-phenylbenzopyrylium perchlorate, Le Fèvre was able to conclude that the positively charged oxonium pole forms one of the strongest meta-directive influences known. Another study was concerned with the variable electropolar properties of the nitroso-group. In aromatic systems the strongly activating effect of the nitroso-group on halogens situated in the ortho- or para-positions was noted and compared with the similar action of the nitro-group in analogous circumstances. The nitroso-group was behaving as a meta-directing group yet experiment showed that nitrosobenzene could be directly substituted by bromine to give 4-bromonitrosobenzene. The apparently anomalous character of the nitroso-radical in nitrosobenzene on substitution by electrophilic reagents was investigated and rationalized in terms of Robinson's mechanistic concepts. Supportive evidence was provided from dipole moment measurements of derivatives of nitrosobenzene. Other work of that period included studies of the dinitration of l-phenylpiperidine from which it was concluded that the piperidine radical possesses an abnormally strong para-directing influence. During 1932-34, a no. of cases of orientation by alkyl groups were investigated where the results appeared to follow the steric rather than the electropolar nature of the subsitutents. In this connection the nitration, chlorination, bromination, iodination and sulphonation of p-cymene were investigated quantitatively. In parallel, polarisation and polarisability effects in aromatic hydro-carbons were examined by dipole moment measurements on p-ethyltoluene, p-cymene, p-tert-butyl toluene, etc., and some halogeno- and nitro-derivatives. In 1931-32 the interaction of aqueous ammonium sulphide with formalin, begun in 1928 with a study of the period of induction, was carried a stage further by the isolation of the chief product in a pure state, thus enabling its constitution to be determined. Other work included colligative-property studies of solid terpenes. Among those taking organic chemistry during 1928-29 was one who seemed always cheerful, lively, ready with relevant comments on current or local affairs, full of conversational topics, of repartee, energy and vigour; a hockey player of enthusiasm (who had once knocked unconscious an opponent through an accidental head-to-head collision), a tireless dancer, a rider of horses (her grandmother had owned a riding school in Glasgow), not excessively teetotal but convivial with most of the women and men contemporary with her at U.C.L. She and I chatted in the lab. about many things not always scientific. She lived in Lambeth where she 'housekept' for her two brothers and knew all about the Old Vic to which later on, she and I went fairly frequently. She was then C.G. Tideman, later Mrs. Catherine G. Le Fèvre. The marriage took place in Glasgow on 1 August 1931. They rented a house at Neasden, about twenty minutes by car from University College. Catherine Le Fèvre was to become her husband's most constant and most valued research colleague. Their subsequent work in physical organic chemistry was strongly encouraged by Professor C.K. (later Sir Christopher) Ingold who in 1930 had taken up a Chair of Chemistry at University College in succession to Robinson who had been elected to the Waynflete Chair of Chemistry at Oxford. He had become well known as a physical organic chemist of great power and originality. With several others in England he had cleared up a morass of confusion concerning optical activity which, in fact, arose from unrecognized confirmational causes. He had largely alone, made several important contributions on the distinctive roles of polarisation and polarisability in polarity. Dipole moments were a much-used tool: using it he showed quantitatively how polarity could be inverted by conjugation. In March 1935, Le Fèvre was awarded the D.Sc. degree; he was promoted to Reader in 1938. In that year also their son, Ian, was born. Soon after, Catherine was employed as a demonstrator at University College and she also taught chemistry at Queen's College, Harley Street. About this time the Le Fèvres decided to set up apparatus for the measurement of the Kerr effect, i.e. electrically induced double refraction. In this they were encouraged by H.A. Stuart of the Universitat Mainz and G. Szivessy of the Universitat Bonn, and were helped by a grant from the Royal Society. By 1939, measurements on gases and on organic substances in solution were being undertaken. Other topics under investigation at the time included: the stereochemistry of l,2-diketones, the geometrical isomerism of diazo-, azoxy- and azo-compounds, the configurational relationships of certain anils, the associations of aliphatic acids and of aromatic nitroso-compounds, the dielectric polarizations of vapours, phototropy, and equilibria of the keto-enol type. The outbreak of war caused the temporary cessation of these activities. Prominent collaborators between 1928 and 1939 were C.G. Le Fèvre, J.W. Smith, J. Pearson, P.J. Markham, S.N. Ganguly, P. Russell, E.D. Hughes, H. Vine, V. de Gaouck, P.P. Hopf, G.S. Hartley, I. Dostrovsky and C.C. Caldwell. During September 1939, University College granted Le Fèvre temporary release and for a short time he was attached to the Ministry of Home Security for the training of Gas Identification Officers. About a dozen chemists were needed to help organise and train the G.I.O.s giving them 'practical experience of the gases that might be encountered in time of war'. Special centres of instruction were arranged in London and the provinces. Le Fèvre was sent to one such centre at Battersea Polytechnic where he worked as an instructor until well into December. In the early days of January 1940, Le Fèvre joined the Directorate of Scientific Research, Air Ministry (later the Ministry of Aircraft Production). There he was an adviser to R.A.F. Commands on certain chemical aspects of armaments. He familiarised himself with the techniques of manufacturing, handling, storage and charging of toxic liquids and other materials.A careful watch was being maintained at the time for evidence of the deliberate use by the enemy of toxic chemicals for offensive purposes. Official apprehension was fuelled by intelligence reports of vesicant stocks held by the Germans, of records of mustard gas spraying by the Italians in their Abyssinian campaign, and of analogous activities of French and Spanish forces in North Africa. The Japanese had dropped gas bombs at Changsha and it was thought they might behave similarly if hostilities started in East Asia. On 2 October 1940, a daughter, Nicolette, was born to the Le Fèvres in London at a time when air-raids were beginning to become regular nightly occurrences. Catherine and the children left soon after to return to Harrogate where they had been living. Early in 1941, it was decided that a supply of chemical weapons should be sent to the R.A.F. Command in Singapore and Le Fèvre was to go there as a chemical adviser, with the honorary rank of Wing Commander. He proceeded to Singapore through West Africa, Egypt, India, Burma and Malaya. The fortnight he spent in Cairo gave Le Fèvre the opportunity to see the arrangements made by F.B. Kipping (from St John's College, Cambridge) for the reception and storage of chemical stocks in the Middle East. In Singapore he was met and briefed by Wing Commander Ramsay Rae (later to become an Air Vice-Marshal), who was then the senior armament officer of the R.A.F. Far Eastern Command. Le Fèvre's first duties concerned the extant plans for anti-gas defence of all R.A.F. areas and making arrangements for the receipt, storage and handling of chemical weapons that were expected to arrive in a few weeks' time. He found most buildings on airforce stations to be 'fantastically insecure, being constructed in tropical fashion of light-weight materials of various kinds...' While contemplating the storage of gas weapons, he chanced to meet M.W.F. Tweedie, the Curator of the Raffles Museum, whose archaeological and speleological interests had given him a good knowledge of excavations and caves in Malaya. On Tweedie's advice, the Batu caves just outside Kuala Lumpur were examined. Those that were suitable were cleared of the bat dung that had lain undisturbed for years by offering it to the Malay inhabitants who gladly took it, regarding it as first-class fertiliser. Within a week, the first of the gas storage depots in Malaya was started, and soon stocked by train from Singapore. The R.A.F. Far Eastern Command had hurriedly constructed landing grounds at intervals along the Burma road, so Le Fèvre was sent to visit them, up as far as Lashio near the China-Burma frontier. Of special interest was a stop at Toungoo where Colonel Chennault and his Flying Tigers were based. They seemed knowledgeable about Japanese tactics and equipment, but when asked about earlier reports of chemical warfare activity in China they appeared genuinely ignorant. On his return to Singapore, Le Fèvre was given instructions from London that he was to try to travel into China as a university lecturer, a civilian, suitably clothed at Air Force expense. He was to go to Changsha or wherever Japanese chemical weapons (or casualties therefrom) had been reported and to try to arrange that a few unexploded bombs, and other chemical warfare samples, be brought back to some place where analyses and examinations could be performed. It was thought that Singapore, which had an efficient Government Laboratory, would meet this requirement adequately. However, intelligence reports began to come in that a Japanese fleet was some-where in the South China Sea and fears of an invasion attempt on the Kra Isthmus or the Malayan coast were becoming stronger and stronger. Le Fèvre's China trip was therefore suspended pro tem; instead, a somewhat ancient specimen of a Type 92 50-kg bomb was sent from (probably) the Air Attache's Office in Chungking. The liquid contents seemed to be a fairly pure Lewisite/Mustard mixture, as already described in Japanese weapon manuals available at the time. Pearl Harbour had been bombed on 7 December and air raids on Singapore were soon to be a regular occurrence. They were almost unopposed since the defenders lacked aircraft capable of dealing with the numbers and capabilities of the enemy. With the sinking of the Prince of Wales and the Repulse on 10 December and news of further Japanese successes it was thought advisable to bring back to Singapore the Batu caves stocks. Ultimately it was decided that the whole stock should be put into lighters and towed to one of the numerous small islands near Singapore, where they would be out of the way of operations but accessible if needed. St John's East, a once-time leper settlement, proved suitable. Seven lighters were loaded and towed by tugs; they were taken to the island, run up the beach and secured. However, the war situation was rapidly worsening and as part of a general 'denial' scheme, Le Fèvre was ordered to plan the destruction of 'gas' stocks. With time running out, the lighters were taken out to sea and sunk. During the above operations, the S.S. Silver Larch arrived in Singapore bringing chemical and other cargo. It was re-routed to Oosthaven in south Sumatra. About a week before the capitulation, Le Fèvre left Singapore on a Yangtse river boat, the Whangpu, for Palembang Sumatra, and from there he went by train to Oosthaven. Still pursuing the Silver Larch, he set out for Batavia on a 500-ton R.A.F. auxiliary, the Tong Song, and from there went to Tjilatjap in south Java. A group of about 240, mostly R.A.F. personnel, was taken on board the Tung Song believed at the time to be the last friendly ship to leave Java before the Japanese occupation. The hazardous journey to Exmouth Gulf in northwest Australia took ten days or so. On 14 March 1942, they reached Fremantle. Thus, by chance, Le Fèvre made his first contact with Australia. An interchange of signals took place between OHQ R.A.A.F. Kingsway and Air Force HQ Melbourne, and Le Fèvre found himself temporarily seconded to the R.A.A.F. at a time when fears were increasing of a Japanese invasion of Australia. He was given posts in the Directorates of Armament and Air Staff Policy. He remained in Australia nineteen months and travelled extensively about the continent and allied-occupied New Guinea, arranging for the storage and testing of mustard gas under tropical and semi-tropical conditions. It was.recognised that the physiological effects could be quite different from those known in Europe. Some of this work is described in a contribution by Le Fèvre to the 1983 Australian Department of Defence account, Mustard Gas Field Trials during World War II, by R.G. Gillis(2). He became a casualty when investigating a leakage on the Blue Funnel vessel Idomeneus, and was in Concord Hospital unable to see for six weeks. Although he regained his sight, he permanently lost his senses of taste and smell as a result of exposure to the vapours. Le Fèvre visited most Australian universities, seeking to recruit Australian-trained chemists for war work involving chemical agents. In Sydney he met Professors J.C. Earl and C.E. Fawsitt separately, and recalled finding the Chemistry Department in a 'terrible state of disrepair' and the front lawn of the University dug up into air-raid trenches. Having found an R.A.A.F. successor, he returned to the United Kingdom in December 1943, by air via the Pacific, U.S.A., and the Atlantic. He resumed work at the Ministry of Aircraft Production headquarters as an Assistant Director (Research and Development, Armament Chemistry). In July 1945 he became Head of the Chemistry Department, Royal Aircraft Establishment, Farnborough. Since the authorities permitted a certain engagement in pure research, Le Fèvre took the opportunity to investigate aspects of diazocyanide chemistry that had been questioned in the chemical literature of the war period. One of his duties at Farnborough was to supervise the planning and construction of a new building for his department, an experience that would prove of great value a decade later when the opportunity came to build a new Chemistry School at the University of Sydney. After the war, Le Fèvre was approached in London by Professor Eric Ashby (later Lord Ashby), Chairman of the Professorial Board of the University of Sydney from 1942 to 1944, who invited him to take up the position of Director of Chemistry at that University. Le Fèvre was attracted by Sydney as a city in which to live and to bring up a family far from the memories of a war-ravaged Europe. Moreover, the University of Sydney had a style somewhat reminiscent of the more traditional English universities and this too had its appeal. The teaching of chemistry there dated from the arrival in 1852 of Professor John Smith to take up the Chair of Chemistry and Experimental Philosophy. Robert Robinson held the Chair of Organic Chemistry, 1913-16. Another Nobel Laureate in the making was J.W. Cornforth who graduated M.Sc. in 1939. G.J. Burrows, D.P. Mellor, F. Lions and F.P.J. Dwyer (who for a time had a very close collaboration with R.S. Nyholm) had made important contributions to coordination chemistry. It was a regrettable fact that for some years prior to Le Fèvre's arrival, Chemistry at Sydney had become implacably divided into two groupings about Professors C.E. Fawsitt and J.C. Earl. It was to be Le Fèvre's task to attempt a reunification. He arrived in Sydney with his family in 1946 and in November of that year took up duties as Professor of Chemistry. The retirement of both Fawsitt and Earl allowed reforms in organisation to be made and at the beginning of 1948 the two separate departments of Chemistry and Organic Chemistry, Pure and Applied were fused into one Chemistry School. Le Fèvre was made Head of the School of Chemistry, a position he was to hold until his retirement in 1970. He was to be joined in 1952 by A.J. Birch who took up the Chair of Organic Chemistry and D.P. Craig who became the University's first Professor of Physical Chemistry. In the course of Le Fèvre's tenure, Birch would be replaced by C.W. Shoppee (office 1956-69) and Craig by A.E. Alexander (office 1956-70). Le Fèvre's arrival in Sydney coincided with the great wave of post-war enrolments of ex-service and other new students. This highlighted the inadequacy of the chemistry building, something that was quite evident even before the war. A feature of the University's centenary celebrations in 1951 was a public appeal, and although the appeal did not reach anywhere near its target, it did produce an anonymous donation of £100,000 to be used for the building of a first wing of a new Chemistry School. The donor was subsequently disclosed to be the late Mrs. Brightie Phillips. With the promise of further funds from the government of New South Wales, construction began in 1955 with completion four years later, followed by an inauguration ceremony in 1960. Le Fèvre was intimately involved with the design and planning and with the supervision of construction of what was regarded by many as the finest chemistry building of any campus in Australia. D. Branagan and G. Holland pay homage to Le Fèvre's efforts in their history of science in the University of Sydney, Ever Reaping Something New (University of Sydney, 1985). Le Fèvre's period as Head was characterised by the great impetus he gave to research. His active encouragement of research groups within the School is reflected in the statistic that during his first fourteen years in office the no. of articles from the School published in learned journals amounted to 680, a major component of the University's entire research output. With the introduction of Ph.D. programmes in the late 1940s, a rapid increase occurred in research student numbers and the Sydney School was to achieve a pre-eminence in research within the Australian university system. Le Fèvre himself had about one hundred research students and co-authors during his term of office. His publication list includes reviews, a book, and several hundred research papers. Le Fèvre resumed his research work in Sydney, taking up and extending projects commenced in England but interrupted by the war. Much of the apparatus at University College had been destroyed in the bombing of London so new equipment had to be constructed for the Sydney laboratories. This was to be the beginning of more than two decades of highly productive and innovative research effort. From the outset, a programme of investigation was undertaken of the structures and configurations of a variety of diazo- compounds, of photochemical and thermal transformations between isomeric forms, and of the kinetics of isomerisations in solution. These studies strongly supported Hantzsch's ideas on the structures of diazo-compounds and led (in the best traditions of the subject!) to controversy in the columns of Chemistry and Industry with H.H. Hodgson of Huddersfield (see, for example, Chem. and Ind, 1948, 270). Associated with Le Fèvre in this work were K.E. Calderbank, J. Northcott, J.D.C. Anderson, I.R. Wilson, A.A. Hukins, P. Souter, D.D. Brown, R.N. Whittem, H.C. Freeman, T.H. Liddicoet, I. Youhotsky and C.V. Worth. A no. of infrared spectral studies were made with M.F. O'Dwyer, R.L. Werner, J.B. Sousa, W.T. Oh, I.H. Reece, R. Roper and M.J. Aroney, to specify the stretching frequency of the -N=N- group in a range of diazo- compounds and to identify infrared spectral features characteristic of the diazonium cation. Working with Sousa and Roper, Le Fèvre proceeded to investigate the kinetics of normal to iso-diazoate transformations in strongly alkaline solutions and to make various attempts to disentangle the complicated series of pH-dependent equilibria between diazoates and diazonium salts. The programme was effectively concluded in about 1963. Early in the Sydney period, the first observations were made of the high polarities of J.C. Earl's newly discovered 'sydnones'. Information on molecular structures and the mesomeric effects operative in this new class of compounds was extracted from dipole moment and infrared spectral measurements. Interest in the sydnones led to an examination of 'model' structures such as antipyrin and phenylisooxazolone and to an understanding of electronic displacements in keten and some of its derivatives. C.L. Angyal, R.D. Brown, A.A. Hukins, E.M. Leake, G.A. Barclay and R.S. Armstrong contributed notably to this work. None of the empirical or theoretical approaches...adequately embraces all the known facts concerning the effects of the medium in dipole moment measurements. Some seem valid for the differences between mu solution and mu gas but fail when tested on pure polar liqulds, others - especially produced for polar liquids - are unable to cover all such liquids. Such studies effectively culminated in empirical equations that fitted known data better than any others previously proposed. Le Fèvre was able to claim that 'a method, useful in practice, is now available for estimating mu gas from either mu solution or mu liquid'. A postscript to thls work was a study of polarisation effects in liquids carried out with Narayana Rao. In parallel with the above programmes and substantially with colleagues already named, Le Fèvre continued his long-standing interest in the elucidation of problems of molecular structure and geometry using dipole moments, often in conjunction with infrared and electronic spectral data. Examined were, inter alia, oxygen, sulphur and nitrogen containing heterocycles, monoterpenes, oximes, 'iodoxybenzene', substituted benzocinnoline 6-oxides, 2,2'-dipyridyl, 'diphenylmaleinitrile', substituted aryl nitro compounds, 1,4-dioxan and the temperature dependence of its structure, species with possible keto-enol tautomerism, and solute intermolecular interactions. Other topics that interested Le Fèvre in his first decade in Sydney included the thermotropy of spiro-pyrans and thermochromism of methyleneanthrones; the a priori calculation of atomic polarisations from spectroscopic data; and the influence of molecular shape and of medium characteristics on the dielectric relaxation times of dipolar solutes. About the mid- 1960s, he was invited to write 'Dipole Moments (Electrical and Magnetic) for The Encyclopedia of Physics. Experience before the war had shown two things: the difficulty of taking electric double refraction observations on vaporized materials, and the necessity of extracting useful information from measurements made on solutions. As the mathematical formulae for the Kerr effect were strictly applicable only to gaseous dielectrics, the full usefulness of this property to chemists was limited, since many interesting substances could not be vaporized without decomposition. In 1947 the whole situation had some analogies with that in which dipole moments were being measured about 1920. It seemed fundamentally necessary therefore that the possibilities of examining materials as solutes, and ultimately securing some value for these solutes at infinite dilution, should be explored. This was made the first objective of the Sydney work. By 1953, Professor and Mrs Le Fèvre had devised and tested a method whereby the electric double refraction of a solute, expressed as the quantity mKsolute (the solute molar Kerr constant at infinite dilution) could meaningfully be extracted from experiments in solution. Using a modified form of the classical theory of Langevin and Born, they were able to obtain, from mKsolute' the anisotropy of polarisability of the solute molecule. As well, it was shown that for polar solutes the ratios mKsolute / mKgas roughly resemble the corresponding mu*2solute / mu*2gas values, thus making it possible to calculate approximate gas-state Kerr constants from solution measurements. The Le Fèvre solution-state approach was regarded by H.A. Stuart and others in the field as an important achievement, especially since previous efforts had yielded indifferent results. It was to become clear with further work that the treatment should be restricted to observations made in non-polar media such as carbon tetrachloride, cyclohexane or dioxan. Nonetheless, wide fields of applications were opened. A full account detailing the theory, the technique of measurement, and results to hand at the time, appeared in 1955. Further results to 1959 were collated in 'The Kerr Effect', Chapter XXXVI of Physical Methods of Organic Chemistry, ed. A. Weissberger (with C.G. Le Fèvre), and in Le Fèvre's Liversidge Lecture. Progress up to the end of 1964 was summarised by Le Fèvre in 'Molecular Refractivity and Polarisability' in Advances in Physical Organic Chemistry, ed. V. Gold, wherein Le Fèvre placed particular emphasis on the application of the Kerr effect to stereo-structural problems. He illustrated this with the tabulation of a wide range of examples investigated in the Sydney laboratories. In a further account in 1970, 'Polarisation and Polarisability in Chemistry', Le Fèvre discussed the central nature of the polarisability concept in relation to molecular interaction, transition states, reaction pathways energetics, and kinetics. His final overview was written, with C.G. Le Fèvre, about the time of his retirement: 'The Kerr Effect', Chapter VI of Physical Methods of Chemistry eds. A. Weissberger and B. Rossiter. The Le Fèvres analysed Kerr constants from solution, together with solute dipole moments (in the case of polar substances) and molar electron polarisation data (the latter from molecular refractivity dispersion), to determine the molecular principal polarisabilities for solutes such as methyl and t-butyl halides chloroform, benzene, a no. of 1,3,5-trisubstituted and hexasubstituted benzenes which, because of their symmetry, are associated with polarisability ellipsoids of revolution. They were able to extend the method to molecules such as mono- and di-substituted methyl-, halogeno- and nitro-benzenes, pyridine, quinoline and acetone which, because of their lower symmetry, required additional data for specification of the polarisability tensors. This was provided, in the first instance, by recourse to early measurements in the literature of the depolarisation factor for light scattered transversely by a substance (from J. Cabannes, La diffusion moléculaire de la lumière, 1929). in this way the Le Fèvres were able to provide valuable information on solute polarisability, a measure of the electronic response to a perturbing field for particular directions within the molecular framework. A weakness in the procedure, however, was uncertainty as to the appropriateness of the light scattering data, which derived from measurements on gases or pure liquids. The problem was addressed by Le Fèvre, working with B. Purnachandra Rao, in the 1956-60 period. They developed a method of determining solute anisotropies from measurements of depolarisation factors of light scattered by solutions. With the aid of a grant from the Nuffield Foundation, they constructed apparatus based at first on the Cornu visual technique but modified later for photometric detection. This work placed on a firmer foundation the determination of anisotropic polarisabilities for solute molecules. Prior to this development, Le Fèvre had advanced a no. of approximate methods of estimating polarisability along a specific molecular principal axis. These were based on: (a) the interpolation of values for members of a related group of molecules where regular trends in polarisability had been observed, as in the methyl-substituted benzenes; (b) a rough correlation which had been found between ratios of molecular dimensions and directional polarisabilities; or (c)the use of crystal-state refractive index and density measurements as was found appropriate for naphthalene. With the determination of polarisability tensors for a substantial no. of molecules of known geometry, the Le Fèvres proceeded to test the notion, suggested by E.H. Meyer and G. Otterbein (Physik.Z, 32,  290), that polarisability parameters can sensibly be ascribed to discrete molecular segments such as individual bonds. From dissection of the molecular values, Le Fèvre was able to set up an extensive scheme of anisotropic polarisabilities for bonds commonly encountered in organic molecules. A compilation of bond polarisabilities to 1965 was presented by Le Fèvre in his chapter in Advances in Physical Organic Chemistry. It was stated, however that the anisotropy of a given bond should not be regarded as a 'universal' constant since it could be affected by the structural environment and particularly so by conjugation or mutual induction. Comparisons made between the C-X group polarisabilities (X=halogen, Me, NO**2 or CN) of aliphatic and aromatic structures showed small polarisability augmentations (exaltations) to occur along the C(aryl)-X bond axis with slight diminutions in directions perpendicular to that axis. The evidence, Le Fèvre wrote, correlated with 'the non-classical polarisability mechanisms long used in organic chemistry to formulate the temporary transmission of electrical effects from group to group or from substituent to reactive position(3)'. A safe viewpoint, adopted by Le Fèvre, was that the apparent bond polarisabilities drawn from measurements on solutes should be regarded as empirical and that they may appropriately be applied to molecular situations analogous to those from which they were derived. A very considerable body of evidence justifying this was accumulated over the years, reference to which is made in the Le Fèvres' 1972 contribution to Physical Methods of Chemistry. Ancillary work involved devising empirical correlations between polarisability components and the dimensions of bonded atomic groupings, bond vibrational stretching frequencies and wavelengths of maximum absorption of the K-band in conjugated diphenylpolyenes, and the calculation from bond polarisabilities of optical rotatory powers. The determination of bond polarisabilities as well as polarisability tensors for larger molecular segments such as phenyl, amide and other groups, though important, was regarded by Le Fèvre as the precursor phase to what can only be described as an enormous programme of study of the Kerr effect in relation to the stereo-structural analysis of molecules in solution. It had long been understood that the magnitude and sign of the Kerr effect could at times provide qualitative information about molecular geometry; for example thianthren, having a negative Kerr constant, must (from theory) be folded about a line joining the sulphur atoms. Phenazine, on the other hand, has a positive Kerr constant and is planar. The procedure most often used by Le Fèvre was to compute the molecular polarisability tensors (using component group parameters) and thence the molar Kerr constants for the various possible stereo-structures and to compare the latter with the molar Kerr constant from experiment. The power of the method, due in large measure to the fact that the Kerr constant is often greatly sensitive to variations of molecular geometry, was recognised early in the Sydney programme. Measured also, as a matter of routine, was the permanent dipole moment (as it came into the equations for the Kerr effect with polar molecules), and in many cases this assisted in the stereochemical analysis from dipole vector considerations. The techniques were used in a complementary manner. Apparent in Le Fèvre's later work of the 1960s is a greater use of other physical methods, notably nuclear magnetic resonance and infrared spectroscopy, to provide information that facilitated analysis of the Kerr effect, often through defining and/or limiting the range of confirmational possibilities. In the period 1955-71, Le Fèvre and his co-workers investigated the molecular stereo-structures in solution of a wide range of compounds. The majority of the procedures currently being used in the confirmational analysis of solutes (e.g. infrared absorption differences between conformers, optical rotatory dispersion, NMR proton shifts, etc.) are qualitative and based upon empincal observations and analogies. It is therefore claimed that the present applications of anisotropic polarisabilities, built as they are on the theoretical arguments of Lorentz, Lorenz, Langevin, Born, Gans, Debye, and others, have - where solutes are concerned - advantages both in their foundations and in the quantitatively expressible natures of the conclusions they can provide. In many of the 'confirmational papers' quoted above, evidence was presented for various electronic effects in molecules. As well, studies were made specifically to probe electromeric interactions, usually by seeking correlation between the observed polarisability exaltation and the direction of the delocalisation pathway, in aniline, toluene, t-butylbenzene, benzotricholoride and their para-substituted derivatives). In other work, Le Fèvre and J.M. Eckert used structure determination by the Kerr effect to examine steric courses for the replacement of hydroxyl by chlorine in cis-2-decalol. Also they were able to apply the Kerr effect to the confirmational analysis of natural product derivatives such as those of cholesterol, tropine and psi-pelletierine. Some aspects of this were followed up, with C.Y. Chen, in a series of *1H NMR and IR spectral investigations of compounds with 6-membered heterocyclic systems. The observation in some instances of non-linear relationships between solute concentration and the Kerr effect or the dielectric polarisation led to investigations that showed solute-solute intermolecular associations of particular geometry to occur in solutions of benzyl alcohol, aniline and substituted anilines, normal alcohols triisopropanolamine borate, tetrabutoxytitanium, carboxylic acids, and mercury(II) chloride. The Kerr effect technique was applied also to determining overall polarisability anisotropies and the morphologies of macromolecular species dissolved in non-polar media. Other parts of the programme involved studies of possible conformational changes in flexible molecules with variation of the dielectric characteristics of the medium; the influence of solvent on the apparent solute molar Kerr constant; wavelength dispersion of the Kerr constant; polarisabilities of non-bonding electron pairs; the temperature-independent component of the Kerr constant; and dispersion of dielectric absorption in the microwave region as applied to problems of 'anomalous atomic polarity', molecular structure and rigidity. Working with G.L.D. Ritchie, a more sensitive version of the apparatus for solutions was constructed and applied to measuring Kerr constants of gases and to deriving molecular and bond polarisabilities appropriate to this state. Other developments in the experimental technique, carried out with R.K. Pierens, involved the use of sinusoidal or of pulsed voltages - the latter found particular application in the measurement of the Kerr constants of weakly conducting solutions of substances such as keto-enol mixtures. Other issues were to emerge from the main theme of Le Fèvre's research. One such was the application of the Kerr effect to investigating solvation. It had been noted in the earlier work that solute Kerr constants from benzene solutions sometimes differed markedly from those obtained from carbon tetrachloride or cyclohexane. This was eventually attributed to time-averaged non-random packing of the anisotropic benzene molecules about the solute, a notion supported by NMR evidence at the time. Le Fèvre and his colleagues used observed aromatic solvent-induced changes of the solute Kerr constant, with concomitant IH NMR, dipole moment and dielectric absorption data, to specify some stereochemical aspects of the interactions of polar molecules in these solvents. A somewhat similar approach was applied to studying hydrogen bonding as found for fluoroform in benzene, pi-pi-donor-acceptor complexes, and co-ordination of vanadylacetylacetonate with dioxan. Concurrently with the above programmes, Le Fèvre launched a study in the early 1960s of the magnetic birefringence of molecular diamagnetic substances. The magnetic analogue of the Kerr effect, the Cotton-Mouton effect, was known to be related by theory to the molecular polarisability and magnetizability. A procedure was developed whereby Cotton-Mouton constants from solution could be used together with analogous Kerr effect data to obtain solute molecular magnetic anisotropies and, in many cases, the principal molecular magnetisabilities. The examination was undertaken of a large no. of aromatics, primarily substituted benzenes, polynuclear hydrocarbons, heterocyclic compounds, and quinones. In cases where comparisons could be made, reasonable agreement was usually found with literature values of solid-state magnetic anisotropies obtained by crystal-torsion or crystal-oscillation methods. Indeed, one of the attractions of the technique to Le Fèvre was that it provided an independent and accessible physical property from which it was sometimes possible to derive polarisability data complementary to those from the Kerr effect. Trends in magnetisabilities were observed and interpreted in terms of a tentative bond magnetisability scheme. A prime motivation was the hope that the magnetic anisotropies from experiment would provide a quantitative measure of electron delocalisation and, by inference, of aromatic character. Studied also was the dependence of solute Cotton-Mouton constants on benzene solvation. Le Fèvre's final publication in this series, before he retired from his Sydney post, reported the investigation of about forty pure aliphatic liquids and was concerned with the relationship between pure liquid and solution-state molar Cotton-Mouton constants. More than seventy research students and colleagues were associated with Le Fèvre in studies of the Kerr and Cotton-Mouton effects and Rayleigh scattering. They included the following: C.G. Le Fèvre, M.J. Aroney, R.S. Armstrong, G.L.D. Ritchie, R.K. Pierens, J.M. Eckert, A.J. Williams, K.E. Calderbank, B. Purnachandra Rao, D.V. Radford, R. Bramley, L. Radom, P.J. Stiles, B.J. Orr, P.H. Cureton, E.P.A. Sullivan, D.S.N. Murthy, C.Y. Chen, J.D. Saxby, K.M.S. Sundaram, A. Sundaram, K.R. Skamp and L.H.L. Chia. Le Fèvre's prodigious efforts in research appeared not to detract from his attention to other responsibilities. He was acknowledged to be a conscientious and able administrator. That he was a teacher of quality is undoubtedly true. His lectures and seminars were those of the enthusiast, yet presented with sincerity and style - a reflection of the man himself. Le Fèvre was philosophically committed to a specialist first-year teaching group (to be supplemented and assisted by other, more research-orientated, members of staff) to cater for the needs of between 1,500 and 2,100 first-year students about three-quarters of whom were in service courses for Faculties other than Science. The varied and complex needs of these students were for the period of Le Fèvre's tenure well catered for by the teaching group, initially under the directorship of J.J. Broe and later under A.I. Harle. Le Fèvre's administrative headship of the Chemistry School, spanning twenty-two years, encompassed a no. of difficult periods, beginning with the tearing down of emotional and physical barriers to depart-mental amalgamation in 1948, surviving in the early years an era of great acrimony (some of it in the public arena), and negotiating periods of very rapid growth and of severe economic stringency. What cannot be denied is that within a few years of his arrival, Sydney was flourishing as a centre of chemical learning and postgraduate research. Perhaps this is the best testimony to Le Fèvre's achievements. Raymond was one of the earliest, and most valuable fellows of the Australian Academy of Science. He played a significant part in getting the young Academy off the ground, and in making it respectable, for his standards were high and his knowledge of procedures profound. Raymond's attitude towards science, and its responsibilities, as well as its benefits, for mankind generally, reflected his caring personality and I learnt much in discussion of such questions with him. His company, and that of Cathie, were always enjoyable. We looked forward to the occasions when we could meet. He had a true sense of humour, without malice or rancour. He never boasted or sought the limelight, but his stature as a scientist is clear from the fact that he was elected to the Royal Society of London as an Australian chemist. The memory of Raymond warms my heart, for, to paraphrase a quotation used by Chadwick of Rutherford, 'he was a good man, who did good things'. At the age of sixty-three, Le Fèvre suffered a heart attack but was able to resume his duties after a period of convalescence. His love for research was undiminished and it was with great sadness that in 1970, having reached the compulsory retiring age of sixty-five, he was obliged to vacate his Sydney laboratories. Le Fèvre was made Emeritus Professor in 1971 and thereafter he moved to Macquarie University at North Ryde where he continued his research as an Honorary Professorial Fellow. His contributions to the University of Sydney were honoured in 1985, the year of the Science Centenary, by the award of a Doctorate of Science honoris causa. An extremely modest man, Le Fèvre seemed almost oblivious of honours or esteem accorded him. An exception, perhaps, was his stated appreciation of the unusual honour bestowed on him with his inclusion on the 'wall of fame' at the Technion in Haifa, Israel. He made generous donations in recent years to, inter alia, Queen Mary College, the University of Sydney, and Macquarie University. In each of these recipient institutions, the decision was made that such funds be used to establish awards to younger chemists. Raymond Le Fèvre's record of achievement, though great, tells only part of the story. Some other aspects of his life deserve special mention. He was blessed with an extraordinarily happy marriage with Catherine, his wife of fifty-five years. It was a trusting, loving relationship, enhanced by their two children, Nicolette and Ian. They were totally supportive of each other in matters personal, in regard to their family, in times of happiness and of sadness. The tragic loss of their son Ian in November 1977 brought them, if anything, even closer together. It was, to all who knew them, the complete partnership. Catherine's research contributions led to the award to her of a D. Sc. by the University of London (1960). In the 1960s she became very much involved with research issues of social importance such as the drug problem in New South Wales and, later on, with aspects of forensic science. To generations of Sydney science graduates, Raymond Le Fèvre was an inspiration. He propagated to so many that which he himself felt, the excitement of exploration in science. Many of his past students now occupy senior posts in academia and elsewhere - testimony, in large measure, to his example and encouragement. He will be remembered as a warm, gregarious man with a subtle and gently wicked humour. Above all, he was compassionate and feeling - a man who evoked loyalty and deep affection. It is fitting that Cathie, in whose arms he died, should have shared his odyssey. The authors are very grateful to Dr Catherine G. Le Fèvre for making available papers dealing with Professor Le Fèvre's early life and wartime experiences, for providing the photograph, and for her helpful comments. We are indebted also to Dr R.S. Armstrong, Professor R. Bonnett, Professor D.P. Craig, F.R.S., Professor H.J.A. Dartnall, Professor M. Davies, Dr J.M. Eckert, Professor P.H. Gore, Mr A.J. Harle, Dr H.G. Holland, Professor L.E. Lyons, Professor Sir Mark Oliphant, F.R.S., Professor B.J. Orr, Dr B. Purnachandra Rao, Professor G.L.D. Ritchie, Professor I.G. Ross, Dr P.J. Stiles, and Professor W.C. Taylor. Most of all, we are indebted to the late Professor Le Fèvre for his beautiful autobiographical material from which we have quoted at length. (1) M.M. Harris, Chemistry and Industry, 1966, 1953; C.K. Ingold, Biographical Memoirs of Fellows of the Royal Society, 14 (1968), 449. (2) Contribution to the 1983 Australian Department of Defence account, Mustard Gas Field Trials during World War II, by R.G. Gillis. Australian Government - released for publication, June 1988. (3) C.K. Ingold, Structure and Mechanism in Organic Chemistry, Cornell University Press, 1953. A.D. Buckingham: University Chemical Laboratory, Cambridge, U.K.